CHITTAGONG, Bangladesh – Bangladesh captain Shakib Al Hasan won the toss and elected to bat in the first Test of the two-match series against West Indies at the Zahur Ahmed Chowdhury Stadium in Chittagong on Thursday. Shakib overcame a fitness concern to play his first game in any format since September, while the home side handed a debut to teenage off-spinner Nayeem Hasan. 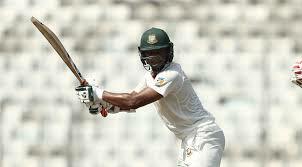 Nayeem, 17, joined a four-man spin attack, which also include Shakib, Taijul Islam and Mehidy Hasan.